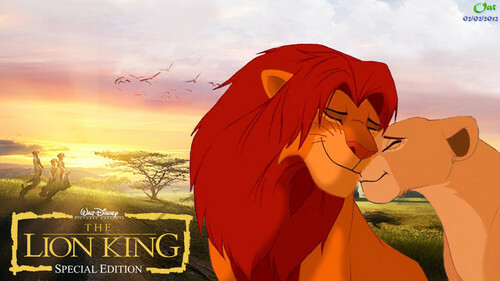 Simba and Nala HD 壁纸. My 壁纸 with Simba and Nala (edited 由 myself). HD Wallpaper and background images in the 狮子王 club tagged: lion king walt disney movie wallpaper hd simba nala. This 狮子王 wallpaper might contain 动漫, 漫画书, 漫画, 卡通, and 漫画卡通. Love it. They are cute together.